The screening of the controversial ‘Gosnell’ is the latest of several recent gestures to anti-abortion activists. Weeks after Democrats won control of the House of Representatives last November, a group of anti-abortion activists huddled at the White House to explore new ways for President Donald Trump to advance their cause. The discussion with several senior administration officials covered a range of policy issues, but a eureka moment came when two attendees suggested that the president use his bully pulpit in an unconventional way, according to three people present. What if Trump were to host a movie screening at the White House? And while critics say the movie misleadingly suggests that the criminal Gosnell is typical of legitimate abortion providers, it has found a receptive audience at the Trump White House, which has recently increased its engagement with the anti-abortion community . “It’s a compelling story,” said a senior White House official who attended the November meeting. After months of planning by the Office of the Public Liaison, “Gosnell” is now scheduled to be screened at the White House on Friday afternoon. It comes nearly 40 years after the Reagan White House hosted a 1985 viewing of the 28-minute anti-abortion documentary, “The Silent Scream,” at the Old Executive Office Building. The “Gosnell” screening is the latest effort by the Trump administration to cater to abortion foes, a push that also has included judicial nominations, executive actions and reform of federal Title X funding for birth control and reproductive services — a trio of kept promises that Trump is expected to tout as he hits the campaign trail in 2020. “This is a really important film and the White House’s willingness to give it a voice is very powerful,” said Kristie Hamrick, a spokeswoman for Students of Life for America, which has staff attending Friday’s screening. 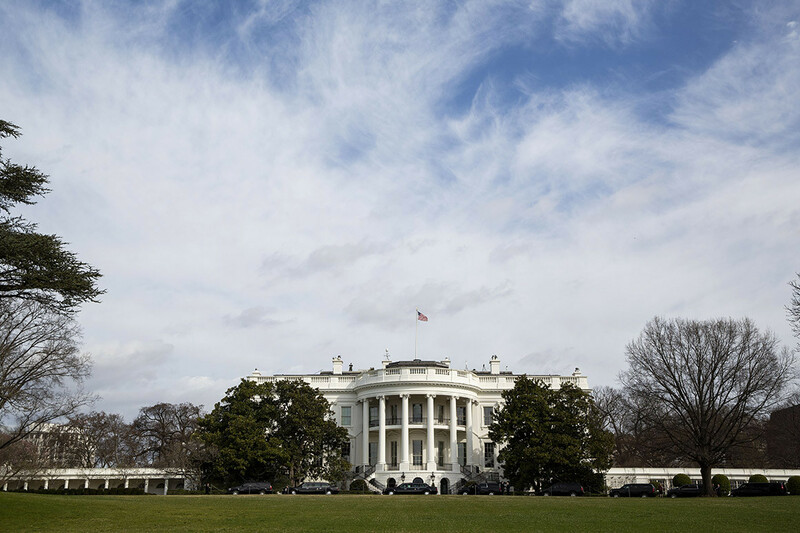 The White House told POLITICO it expects approximately 150 guests from anti-abortion groups and faith-based organizations across the country that have become loyal supporters of the Trump administration. Although Trump 20 years ago declared himself “very pro-choice,” in recent years he has become a firm abortion opponent. “Let us work together to build a culture that cherishes innocent life,” Trump said in his State of the Union speech in February. Trump himself is not expected to attend the screening, however, according to two White House officials who declined to provide a reason. No members of Congress were invited to attend, according to a White House official, and a spokeswoman for Vice President Mike Pence did not respond to a request for comment. The screening comes almost six years after Gosnell was convicted of three counts of first-degree murder following a trial that provoked outrage on both sides of the abortion debate. Groups like March for Life, which has long opposed medical abortions, said at the time the case highlighted the “ugliness” of the industry, while pro-abortion groups felt that it underscored their arguments for safe, legal abortions. It also comes amid a broader push by Trump to energize his devoted fans in the white evangelical community as he prepares for a tough reelection fight. Two weeks ago, his administration unveiled plans to expand the Mexico City Policy, an existing rule that blocks U.S. funding for international nongovernmental organizations that promote “abortion as a method of birth control.” The State Department said the restrictions would now apply to any groups or organizations affiliated with those NGOs as well. Prior to that announcement, Trump fiercely criticized a pair of late-term abortion bills in New York and Virginia, lamenting in his State of the Union that both legislative initiatives would allow “a baby to be ripped from the mother’s womb moments from birth.” Sources close to the president told POLITICO at the time that Trump saw an opportunity to re-engage his religious supporters when the Democratic-backed bills began to draw backlash from conservative circles. At the meeting at which activists first proposed screening “Gosnell” they also suggested that the administration consider new restrictions on federal funding for abortion providers and ending grants for human fetal tissue research. Weeks later, the administration warned the University of California San Francisco that it was at risk of losing a $2 million contract with the National Institutes of Health for research involving tissue from aborted fetuses. Vice President Mike Pence, a devout evangelical Christian and staunch abortion opponent, has also regularly weighed in on the subject. As recently as last week, Pence used his official Twitter account to promote a different anti-abortion film, “Unplanned.” That movie, based on a book by Abby Johnson, a former Planned Parenthood clinic director turned anti-abortion activist, has received substantial attention from religious conservatives, anti-abortion groups and the White House. Pence also met with producers of the film on Monday. The Trump White House has previously screened “The Post,” a Steven Spielberg drama about The Washington Post’s controversial publication of the classified Pentagon Papers in 1971. Trump also screened “The Greatest Showman,” a musical film about famed circus promoter P.T. Barnum, for aides and GOP lawmakers at Camp David in January 2018.